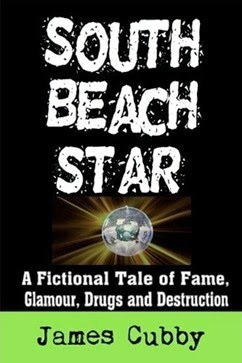 South Beach Star is a modern day Valley of the Dolls set in South Beach. Life is sweet for Jamie Kidd, a thirty-something writer, till he wakes up one morning to discover that his lover has left town after cleaning out the bank account and leaving Jamie heartbroken, penniless, and somewhat suicidal. Jamie makes the entirely sensible, or so he believes, decision to escape to South Beach where he finds success and quasi-celebrity as a nightlife columnist for the SOUTH BEACH STAR, a weekly tabloid that covers the trendy South Beach scene and the celebrities that populate it. South Beach opens its arms to Jamie, who, like an actor taking on a new role, throws himself into his fabulous new lifestyle covering the notorious celebrity-studded party scene where nightly he mingles with beautiful shallow fashionistas, famous models, and wealthy jet-setters. His coveted lifestyle masks an out-of-control roller-coaster ride of late-night parties and photo-ops, fueled by a gradual addiction to crystal meth. Like many before him, Jamie loses control and falls victim to his fast lifestyle. Currently working on two new novels: KILLER SMILE, about a serial killer set in South Beach, and ISLAND OF BOSSY WOMEN, the story of a dysfunctional Southern family whose lives are turned upside down but emerge triumphant. With the continuing weekly deadlines of freelance writing projects, I've found it difficult to always find writing time for the two novels that I'm trying to finish so I'm taking a temporary break from this blog. For those new to the blog, please check out the archives, there's years of posts and hundreds of photos. Thanks for all the support.